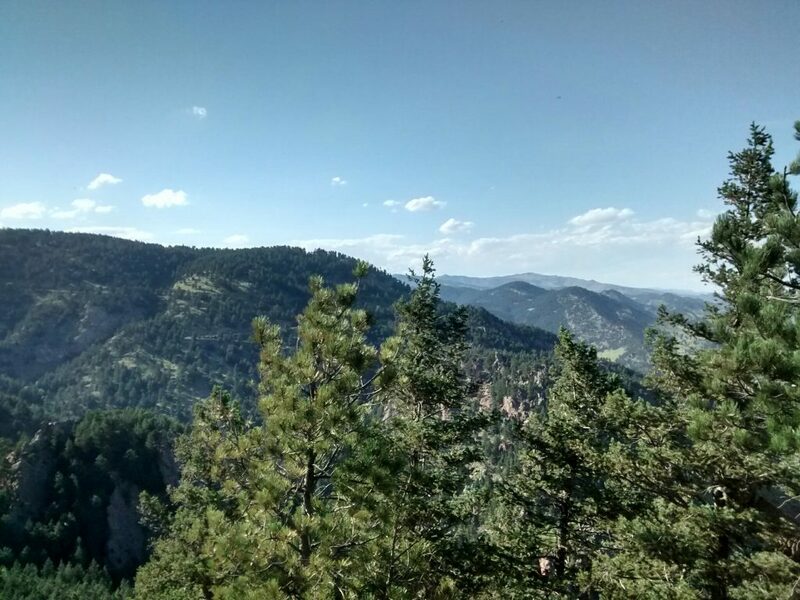 A little over a year ago I traveled to Boulder, Colorado for a conference. I’d been to Colorado once before, and the mid-western landscapes made a lasting impression. I was eager to return and was pleased that my training schedule left me plenty of time to explore (which is not the norm for my business travel). Springtime in Boulder meant temperatures in the 60’s for my morning runs – a real treat for this Floridian. But the real highlight of the trip (besides the top notch training) was hiking the Flatirons, an activity recommended to me by the lead trainer. The Flatirons are spectacular. We have nothing like it in Florida – simply no parallel comes to mind. The climate itself was an amazing experience. Going on a vigorous hike without becoming completely drenched in sweat? Inconceivable. And even when I did have a few beads of perspiration on my forehead, they quickly evaporated. Florida mind blown. After a couple of exploratory hikes, I got a little more adventurous and started climbing steeper trails. It was definitely more treacherous – there were portions of the trail where, if you lost your footing, your return hike would be on a stretcher. Later, I learned that I wasn’t actually on a real path – at least not one depicted in my trail guides. Whoops. After an exhausting hour (I’ll blame my exhaustion on the higher altitude and lower O2 levels), I reached what I would consider a minor summit. I was rather proud of my achievement. The view was breathtakingly amazing. To my east I could see the city of Boulder laying before me. To the west I could see the Flatirons, a series of almost vertical grey rocks. Then I saw it. A group of 4-6 people rappelling down the rock face. Right then I knew that’s where I wanted to be, on the very top of the real summit of the Flatirons and after getting there, rappelling down the face (and making it to the bottom in one piece). Of course, that would prove to be difficult. There aren’t many places to go rock climbing in Florida.We don’t have mountains. We barely have hills. The closest thing to rock climbing here is an artificial rock climbing wall. 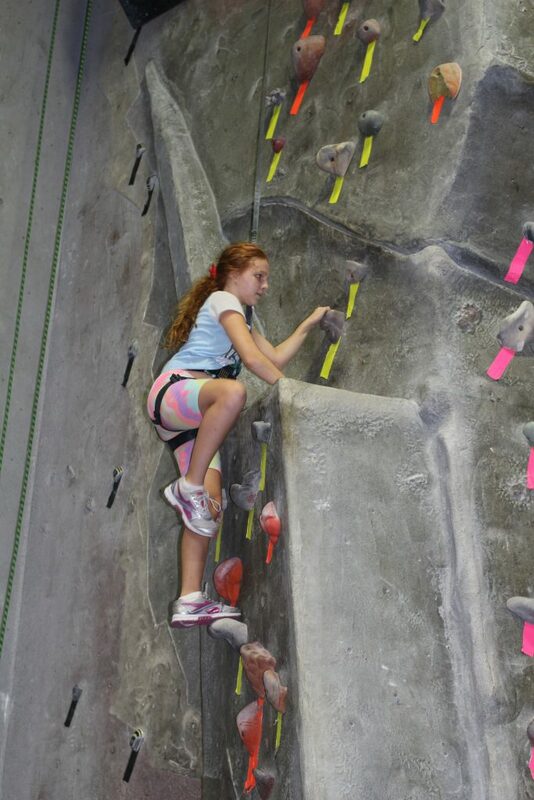 One of the local YMCAs has one, and I climbed it once or twice at the behest of my children. That was the extent of my rock climbing experience. The lack of anything resembling a mountain to climb in Florida didn’t deter me. I started researching the kind of equipment and skills that one needs to climb, with the hope that I’d find an opportunity to do some climbing during my travels. That’s when I learned about rock climbing gyms. I’d never heard of such a thing. 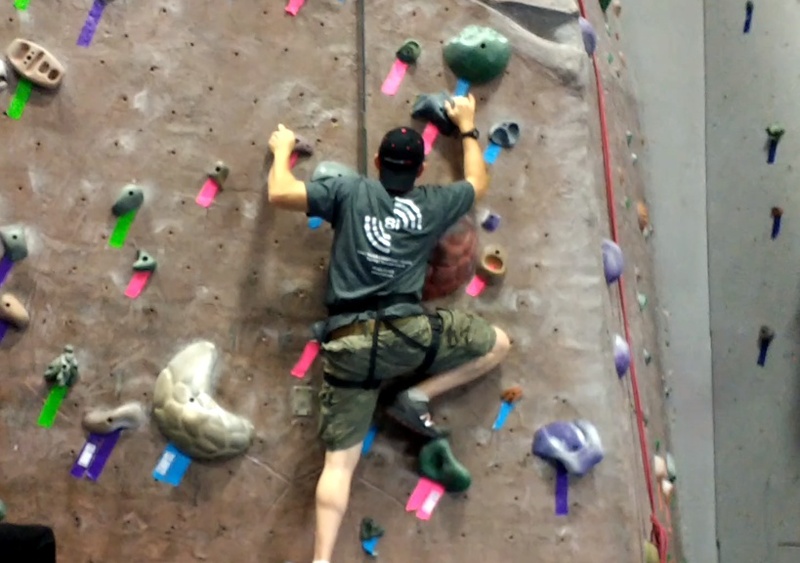 A typical rock climbing gym has artificial rock walls, equipment, and classes where one can learn how to climb and practice the skills to become proficient. It just so happens that there’s a rock climbing gym where I live. Perfect! I’ve been trying to find new and fun things to do with my family that don’t involve theme parks, shopping, movie theaters, etc. The rock climbing gym looked like a perfect place for us to be active and spend time together, expect for Sharon who’d recently had herself partially transformed into Wolverine. Climbing at a The Edge Rock Gym here in Jacksonville, Florida was a fantastic experience. The scenery is nothing like the vistas in Boulder CO; however, my daughters and I loved it. Our first time there, we spent almost two hours climbing the six walls, which were set up at various levels of difficulty. 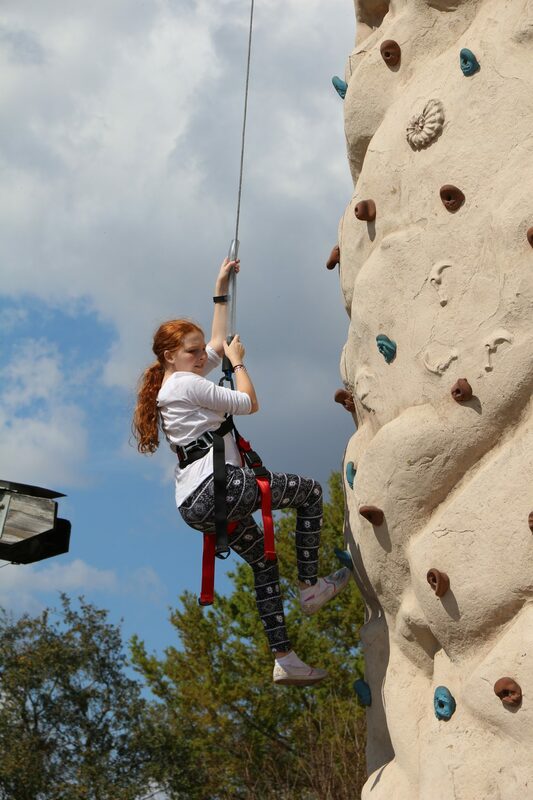 My older daughter enjoyed the challenge of climbing alongside physically fit men, especially when she was able to climb further & faster than them. I could also see the confidence building in my younger daughter. At first she would only climb about ten feet, then she would look down and let herself fall. 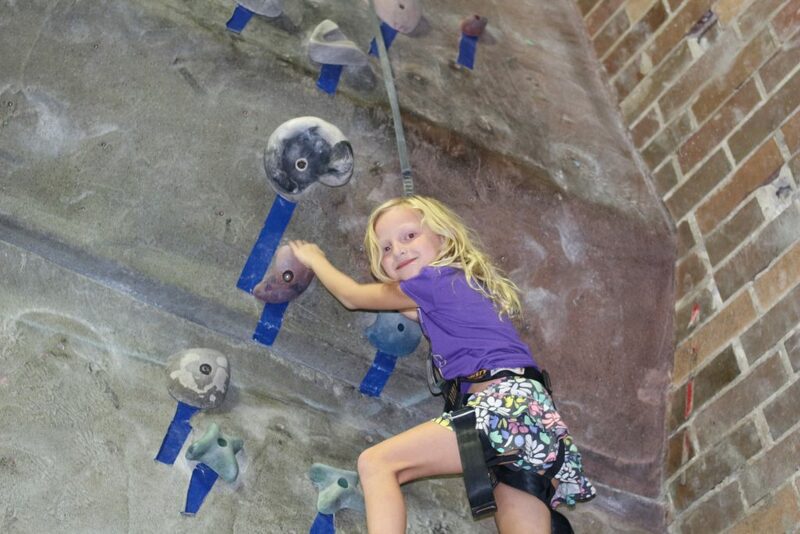 It was as though she was testing the auto-belay system to make sure that it actually worked. After doing this about ten times, she finally took my suggestion to not look down. Slowly and reluctantly she was able to ascend the wall with relative ease. My younger daughter is very small, nearly 10th percentile for her weight and height; however, she is a martial art practitioner. Her performance demonstrated a natural ability and I could see that she had a very high strength to weight ratio. My daughters then started getting competitive and racing each other. My older girl couldn’t figure out how her younger sister was able to keep up with her, although her little sister never quite beat her to the top when they were racing head-to-head on different wall circuits. After the first hour I could see that they were physically exhausted. But what was missing was the endless complaints that normally accompany long days at an amusement park. It helps when it’s an activity that everyone in the family enjoys (which is almost never). Indoor climbing is an outstanding physical workout and great for overall strength development of the upper (and to some extent the lower) body. In my own body, I felt the exertion of the pulling muscle groups in my back and the gripping muscles of my forearms and hands. I’ll admit I was the first person to suggest calling it quits (although let’s use the excuse that I’d already had a thorough workout that morning). We’ve gone back to The Edge Rock Gym a number of times, most recently with Sharon joining us. 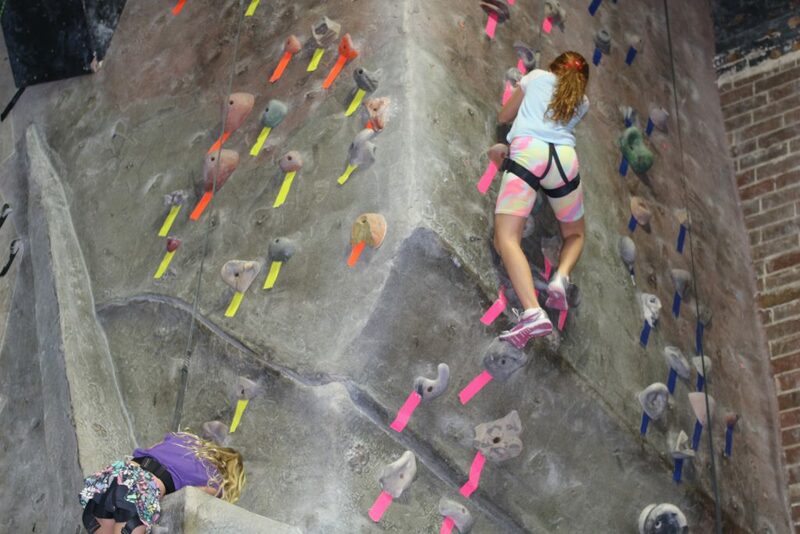 I’m planning on signing up for an introductory belay class with my two daughters when I get everyone’s schedules between school and work lined up. My plan is to get enough experience in the rock climbing gym to use it as a launching pad for a dedicated “adventure” vacation, with rock climbing as a central part. 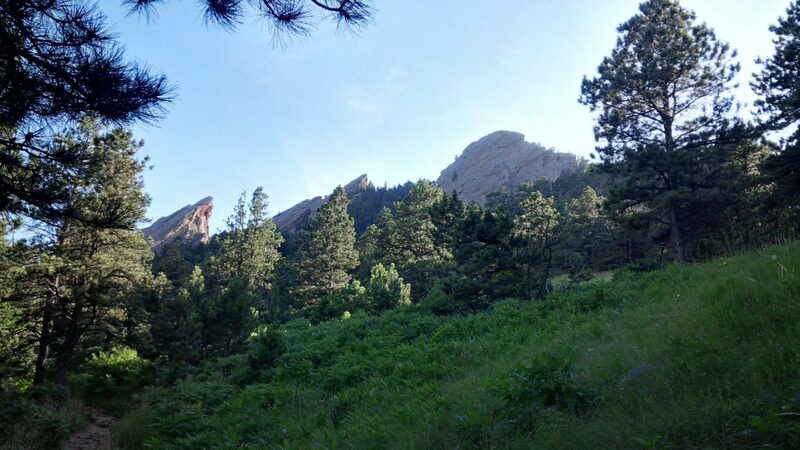 Maybe we’ll even climb the Flatirons someday. 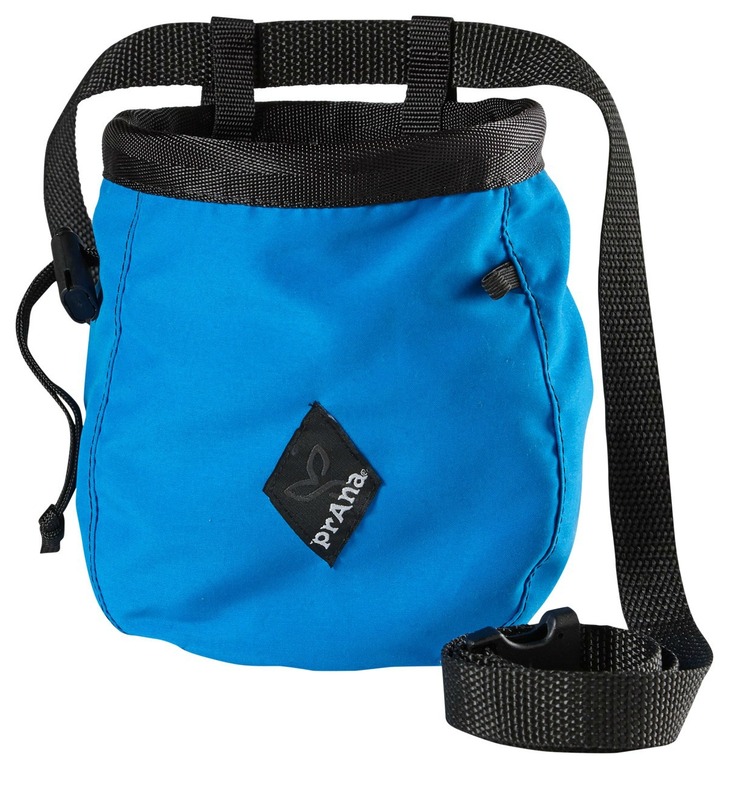 In honor of our family’s new hobby, we’re giving away a chalk bag from prAna in the color of the winner’s choice (based on availability). It includes a belt, an adjustable drawcord closure, a metal ripstop, and an elastic brush holder. I need to get one for myself! Just follow the instructions on the Rafflecopter to enter. 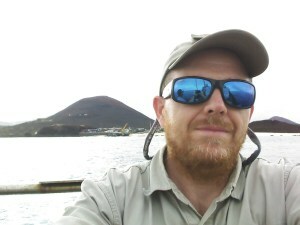 Victor is a licensed Professional Engineer and a licensed Surveyor & Mapper in the state of Florida. He is an avid reader, a lifelong learner, a fitness enthusiast, and a coffee snob. He also has two beautiful daughters and a lovely wife, and he’s not just saying that because his wife is writing his bio. I would like to try rock climbing. It seems fun. Thanks for sharing.